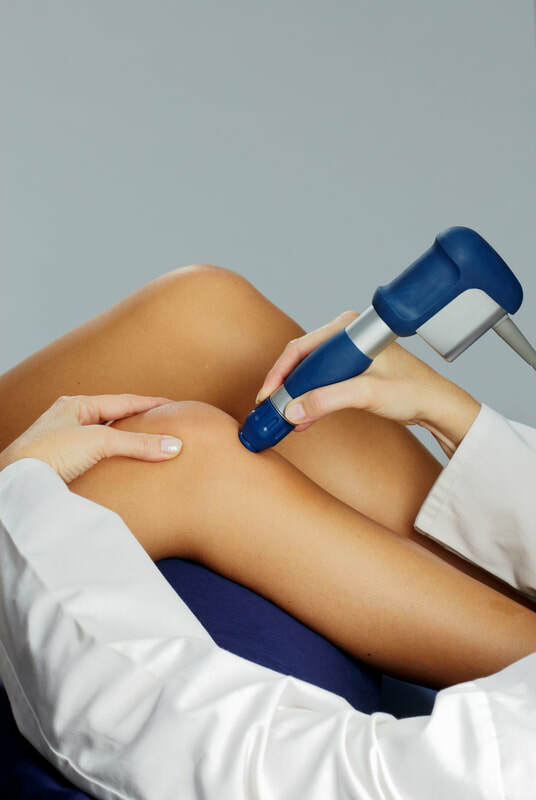 Shockwave Therapy (EWST) is becoming more widely known and used as a treatment for a number of orthopaedic conditions. 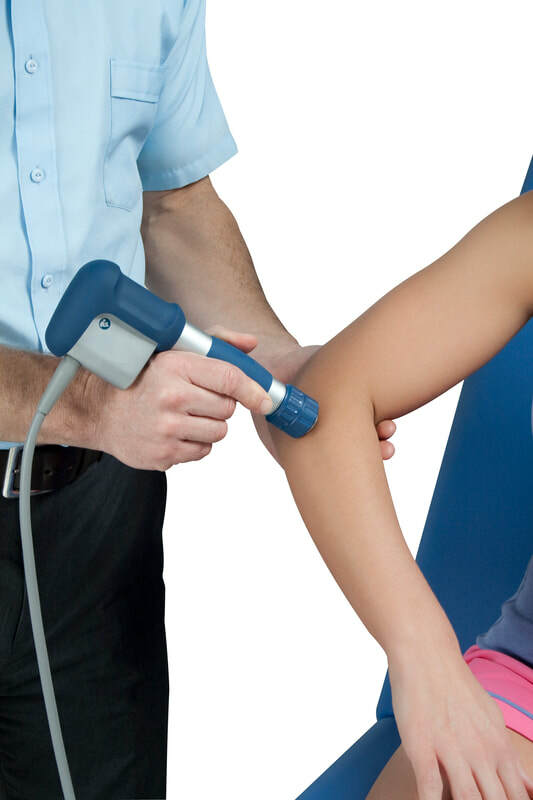 The benefits of shockwave are increasingly being experienced by people who have chronic painful soft tissue complaints, predominantly with tendinopathies, as a non-surgical solution to help reduce pain and return to function. The concept of shockwave therapy first originated in the field of aerospace research and development, where staff at Dornier, in the early to mid 20th century, began to notice ‘pitting’ on the metal exteriors of planes as advancements allowed them to reach the speed of sound. This pitting turned out to be the effect of cavitation, the formation of small bubbles (liquid free zones in fluid) that occur when rapidly changing forces are applied, when the internal pressure is relatively low. These bubbles/voids then implode, when subjected to a higher pressure again (flying at high speed causes rapid fluctuations in pressure) and this creates a shock wave. In the air, this occurs in the small droplets of water that are naturally present. It was from this occurrence that, through close collaboration with hospitals and Dornier’s research development laboratories, that the concept of using this destructive phenomena in medicine was born. The original version of ‘Shockwave Therapy’ is what is now called focussed, or lithotripsy. Most people will be unknowingly aware of this particular use but if we said is was the method used for breaking down kidney stones, or other calculus, so that they can be passed through the body, then it would suddenly be familiar to many. It was however the positive tissue responses that were observed during Lithotripsy that spawned further research that resulted in Extracorporeal Shockwave Therapy, the type that we use our clinic. It is becoming more widely known and used as a treatment for a number of orthopaedic conditions. The benefits of shockwave are increasingly being experienced by people who have chronic painful soft tissue complaints, predominantly with tendinopathies, as a non-surgical solution to help reduce pain and return to function. Extracorporeal literally means 'situated or occurring outside of the body'. This type of Shock Wave is produced by a ball bearing like bullet, that is fired rapidly, by compressed air, up and down creating an low energy acoustic/sound wave as it hits the applicator. It is this acoustic wave, that you can clearly hear, that travels through the body tissue and created the shock wave effect. Shock Wave Therapy Applicator showing the bullet in the chamber and the wave being produced at the treatment head. It really is as you would think it is. There is a flat applicator which can be several diffecnt sizes and this is pressed against the skin, though some water based gel. As the bullet is fired up and down you will feel pulses travelling trough the skin at the applicator site. The frequency (number of times per minute) of the shockwaves can be altered as can the intensity. It is recommended that your treatment should be given at the highest intensity that you feel comfortable with. To low and you may find that it is sim[ply not able to create the desired effect which will end up in a failed response. We have the latest 2018 portable device which has the same pressure capabilities of the larger static device, ensuring that our clients get the best treatment available whether it is in clinic, or at a satellite location. The treatment tends to cause and analgesic effect in the tissue so it does toned to get easier once the initial bit of the treatment is over. Many clients also report significant decreases in symptoms following the first session however it is recommended that you stick to the individualised plan that has been made for you so you do not limit the effectiveness of the treatment. All clinets needs to have an assessment before undergoing Showave Therapy. This is for both your safety and also to ensure that your are suitable and stand a good chance of a positive treatment response. This will be a standard 40 minute time slot but with a focus on shockwave. Treatments are very quick and as such follow up treatment appointments for Shockwave application are only 15 mins long. The recommended treatment does is 3 sessions, each 1 week apart, with the possibility of needed 1-2 more after (this is only if you are showing a very positive treatment effect but are just not quite there yet). We then ask you to follow the plan and return for a normal 40 minute follow up after 4-6 weeks. You will need to be able to see the treatment process through as per the required time frames otherwise it is unlikely to work. There is no clinical sense in having just a single session and as such we will not undertake this. Should I have Shock Wave Therapy? We would only recommend Shock Wave Therapy to chronic conditions (over 12 weeks old) that have fialed to settle spontaneoulsy, or have not reposponded to other modaliities such as physiotherapy, orthotics (insoles or leg braces), rest, steroid injection, ice therapy and pain relief. There is some research and claims that it works in more acute injuries as well (less than 6 weeks) but without control subjects it is impossible to to tell if they were going to get better anyway and we prefer to be honest to our clients! There is a small risk of tendon or ligamanet rupture, or soft tissue injury, but our experienece physiotherapists will undertake a full assessment to determine your suitability prior to any treatmetn being undertaken. ​8) have had a steroid injection into the affected area in the previous 6-8 weeks. Degenerative Disc Disease (DDD) is a phrase that originated many decades ago to describe what is more .